How do you know if a plant needs water? You can look at the plant’s leaves and make a guess, and you can get a rough idea based on how you’ve watered it in the past. And if you’ve just watered a plant, how do you know if you’ve given it enough? 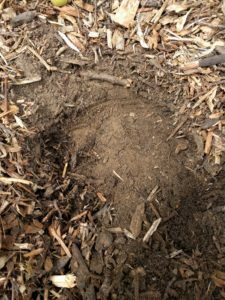 You can estimate the number of gallons it needs using the size of the plant and the season, and taking into consideration your soil type. But there is one sure way to answer both of these questions, and that is to put a knee down and start scratching. 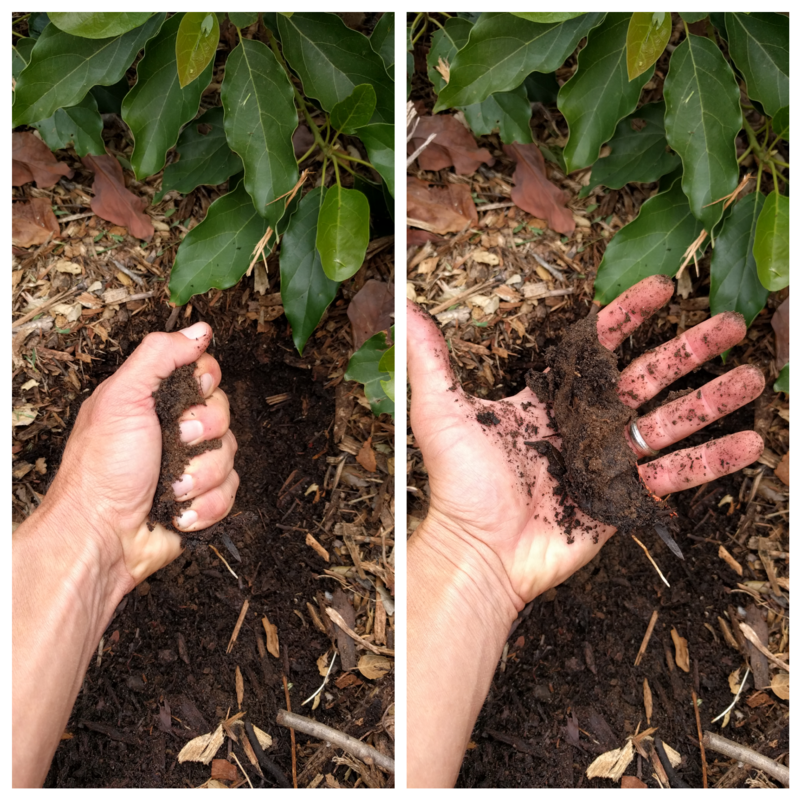 The truth about whether a plant needs water or whether you’ve given a plant enough water is only to be found by getting your hands dirty, by digging into the soil where the roots of the plant are. I’ve made a personal commitment to getting my hands dirty more frequently this summer. 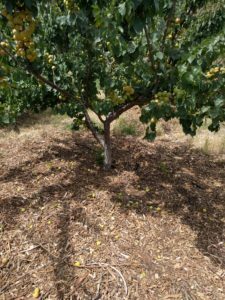 The other day, June 10, I took some photos as I went through the soil-moisture discovery process for a couple of fruit trees that I was thinking might need water and for some vegetables that I had just given water. Follow along. 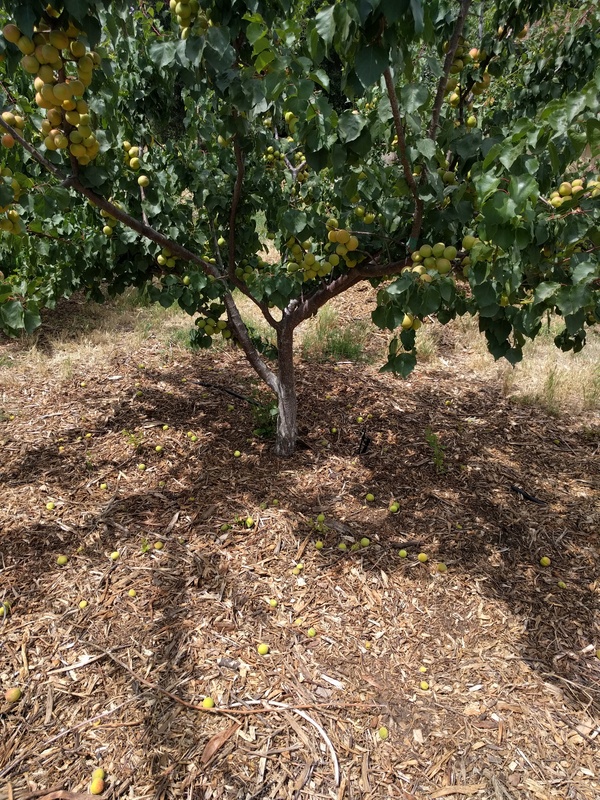 Should I water the fruit trees? Immediately, when I opened my hand the dirt broke apart. That meant there was very little moisture in it, which meant yes, I should irrigate my apricot tree today. Next, I walked over to my Pinkerton avocado tree. Should I water it today? I guessed not, since I’d watered all of my avocados only five days prior, but I had to be sure. 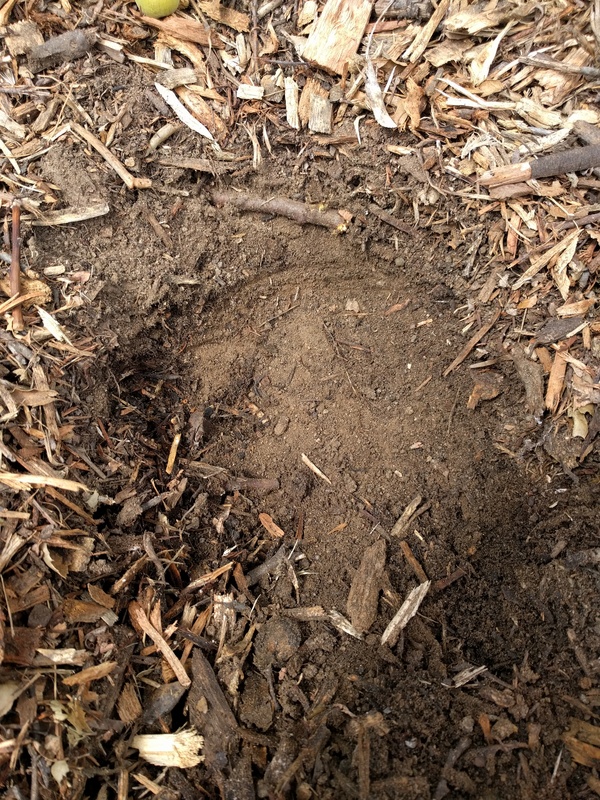 Same process: scrape mulch and soil until encountering shallowest roots. However, this time the soil kept its form in my open hand. I bounced it and it still didn’t break apart. Stains were left on my palm from the moisture in the dirt. This meant that the soil still had plenty of moisture in it. No need to irrigate yet. My soil is a sandy loam. 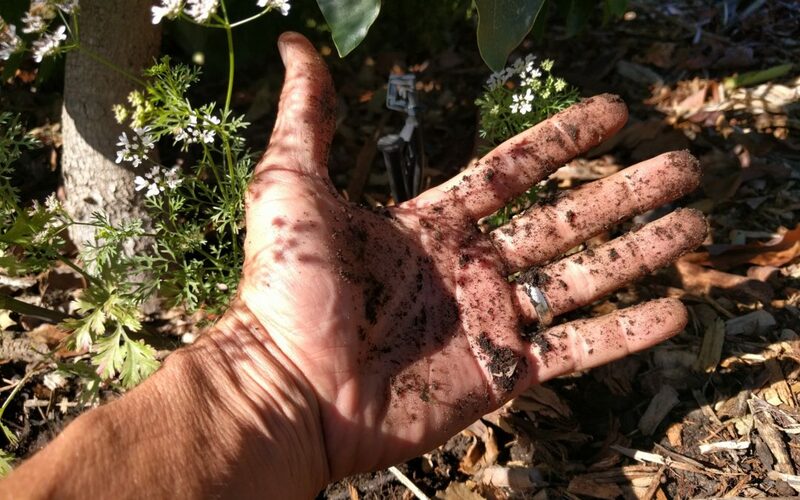 If yours is a clay soil, it would react a little differently in your hand when you squeeze and bounce it. Here is a document from the U.S. Department of Agriculture to help you gauge the moisture in your specific soil. And here is a video from U.C. Davis to help you figure out your soil type, if you don’t know. Also, here is a video from U.C. 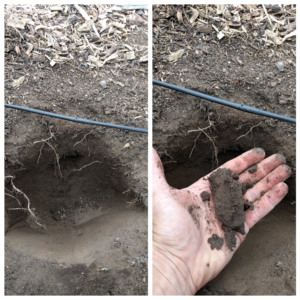 Davis showing the process of feeling for moisture in the soil, just as I did in the photos above. Then I wanted to know if my regimen of drip irrigation on my vegetables was sufficient. Just that morning I had run the drip lines in my vegetable garden for 25 minutes and wondered specifically if that had wet deeply enough to satiate all of the roots of a bed of tomato plants. So a few hours after watering, I got my hands dirty again. I used a shovel to dig a hole a foot deep between two tomato plants. 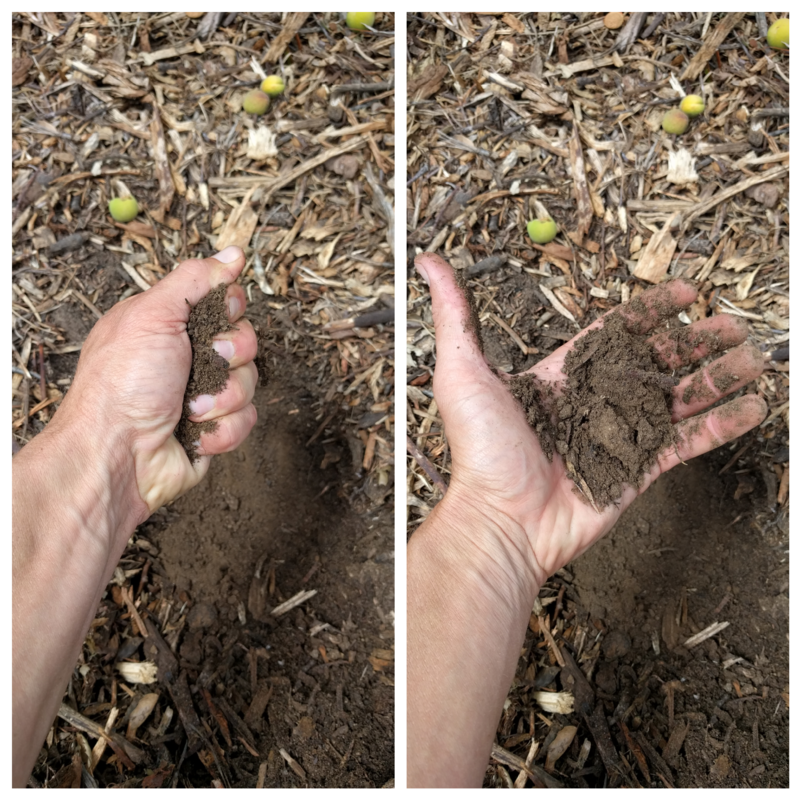 Then I grabbed a handful of dirt about six inches down and squeezed and bounced it. Stained, held form: wet soil. Next, I grabbed a handful near the bottom of the hole and squeezed. The soil ball broke in two when I opened my hand and bounced, but it wouldn’t crumble further. So the soil had moisture down there but wasn’t thoroughly wetted by my 25-minute irrigation. That was fine because I also noticed during my digging that there were no roots that deep. Maybe there were roots a foot down directly below the plant, but over here they went no deeper than about six inches. My take-away was that I had certainly watered the tomatoes enough, and next time I might water a little less so as not to waste any through deep percolation. I could water less by reducing the time to 20 minutes, or I could lengthen the interval between irrigations. 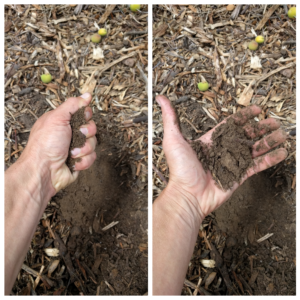 There’s no substitute for the proof you hold in your hand when you use the “feel method” to discover the moisture in soil. You’re holding the truth when you get your hands dirty and see and feel the dirt right there around a plant’s roots. It makes me feel confident every time I do it. 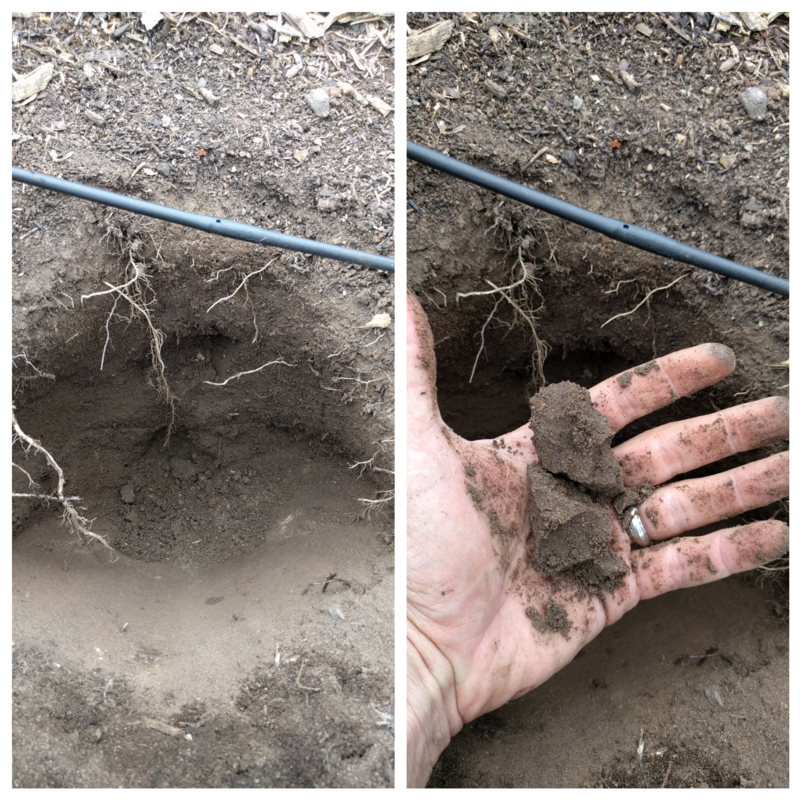 I have tried using deep irrigation using a 4 foot piece of schedule 40 1/2 inch PVC pipe connected to my hose. Using a similar technique, the soil can be sampled deep using a the same PVC pipe by plunging the pipe into the soil without watering. Removing the piece of pipe there is dirt in the end of the pipe which can be sampled for water. I have clay soil and find this useful since I don’t want to over water my plants. Has anyone else done this?